We are pleased to inform that we have received confirmation from MBI that the Stadium Indera Mulia, Ipoh will be available from 3 – 5 April 2009 to hold the Ipoh PC Fair 2009(I). Thank you for participating in the PIKOM PC Fair 2009(I). PIKOM has received an official letter from the venue operator, Majlis Perbandaran Tawau notifying PIKOM that it has to make way for an Official State Government function on 3 & 4 April 2009. As per terms of the lease contract, Majlis Perbandaran Tawau has the right to release PIKOM’s booking should it clashes with any state function. 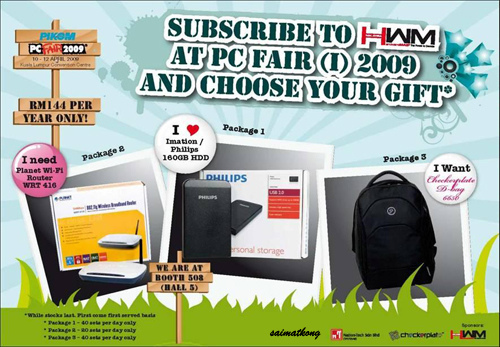 As such, we would like to inform all exhibitors that the PC Fair in Tawau is moving its dates to 10 – 12 April 2009. During the PC Fair 2009(I) Launch and Balloting on 21st January 2009, we announced that there will be a change of date for the fair in Muar. As such, we would like to inform all exhibitors that the PC Fair in Muar is moving its dates to 24 – 26 April 2009. Please take note of the change of date. We also wish to inform that there are still booths available in Muar (latest layout attached). If you are interested please contact the PC Fair Team as the booking of the booth is on a first-come-first serve basis. PIKOM PC Fair 2009 (I) is coming in April 2009, which is starts from tomorrow. It is the 1st PC Fair of the year 2009. I went to PC Fair since few years back till now, every time there’s PC Fair I will sure go and have a visit no matter I have anything in mind to purchase or not. But for me, I still like PC Fair in PWTC better, because the KLCC PC Fair really badly manage for the past few times, all one way straight and if you decide to go out or halfway, you can’t! That’s the main problem, besides jam, crowded, expensive food, expensive car parking fees etc. 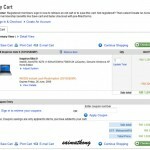 Want to buy cheap laptop or netbook? cheap pc? cheap pen drive/thumb drive, external hard disk (HDD), dvd-r, dvd-rw, cd-r, ram, Broadband like Streamyx, IZZI, Maxis 3G Broadband, Digi 3G Broadband, Celcom 3G Broadband, P1 W1MAX with wiggy, HWM Magazine, PC.com, pc accessories, mouse, keyboard, speaker, camera, DSLR, GPS, Projector… etc and a lot’s more. This time there’s not news on any free gift on HWM magazine or PC.Com magazine like last year they giving out free hard disk (HDD) which was very good deal, but not sure about this year. For Maximum pleasure, take a WIGGY home Today! Wiggy is tiny. WIGGY is fun. 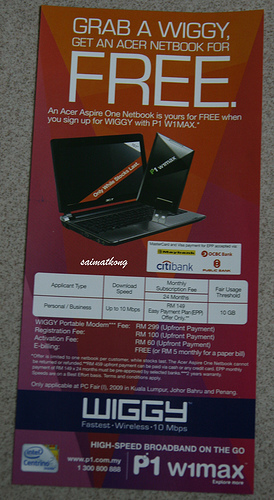 WIGGY is fast wireless broadband in your pocket that goes up to 10Mbps. With WIGGY, it has never been easier to head out and surf anywhere within P1 W1MAX coverage. 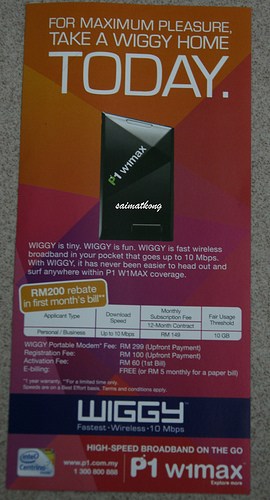 P1 Wiggy USB WiMAX plan – Monthly Fee RM149 (Easy Payment Plan)**, speed up to 10Mbps, 24 Months Contract, WIGGY Portable Modem *** FeeRM299 (upfront payment), Registration RM100 (upfront payment), Activation Fees RM60 (upfront payment), E-billing Free (or RM5 monthly for a paper bill). 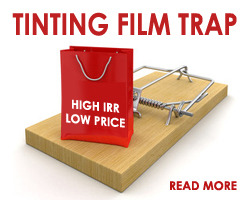 *Offer is limited to one netbook per customer, while stocks last. The Acer Aspire One Netbook cannot be returned or refunded. 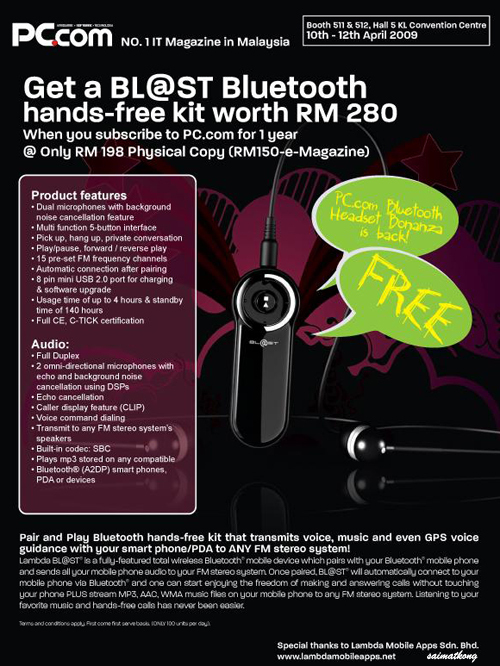 ** RM459 upfront payment can be paid via cash or any credit card. EPP monthly payment of RM149*24 months must be pre-approved by selected banks. *** 2 years warranty. Speeds are on a Best Effort basis. Terms and conditions apply. Will updates more if have latest news and I will be there next Sat / Sunday @ KLCC. worst ever PC fair, not much to offer. price are higher then normal. Not much promotion and wow from the PC manufacturer. Many big player pull off the show. You have giant booth but u have hired cheap sales person that never used ur product and sometimes doesn’t even know your product selling point. and the exit…. what are you thinking off? If there is an emergency, how u gonna evacuate the crowd? ever thought of the safety measurement? 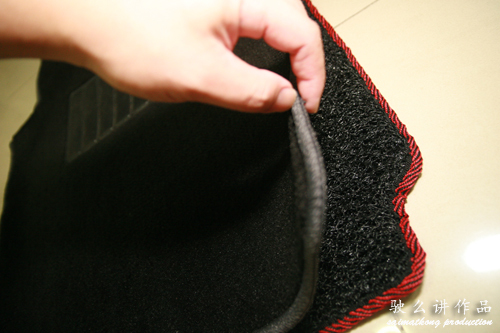 Should there be someone that pengsan, how efficient your people can detect and act? Low quality and quantity PC fair show girl hired. iphone? only those retards that is ashamed to admit it’s hard to use. And, Old great Maxis, worst package. They always like that, only they decide for us but not think of us. Wimax, crazy cash grab? RM 1? o.O? Streamyx, so many salesperson to best block the way rather then doing sales. Sound system section, so pity on them, like they nvr exist. From their time table, KK sabah is missing. Worst event management. waste of resources. Or they cut the event budget? Or less income from sponsor? If yes, try ask urself why u can’t live to their expectation. If u can’t make something good, better don’t make any. Do your work if ya wanna be the Asian region hub, where by product announcement are made here, not in computex taiwan / hong kong or Singapore. Don’t fool the people, guide or teach them. Those who willing to share his love shall be loved. Go back to your origin, Don’t loose the very purpose of this event, it’s never about making money. there is no Wimax service available in my place.